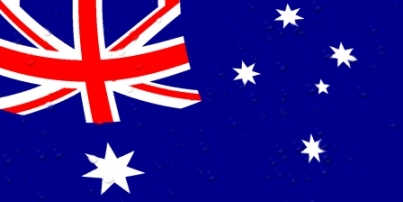 Online poker players in Australia have received a brief reprieve from the pending implementation of new interactive gambling measures that would effectively ban the game throughout the country. And, amid debate over the secondary issues the looming ban would bring to the country, pro-poker activists have succeeded in gaining Parliament support, to the point of one Australian senator introducing a secondary amendment that would create carveouts for online poker and online blackjack under the new rules. Those rules, collectively known as the Interactive Gambling Amendment Bill 2016, are poised to officially ban virtually all online gambling in Australia except for sports wagering. In the face of the looming ban, several international operators have either stopped serving Aussie gamblers or plan to do so immediately upon the ban taking effect. 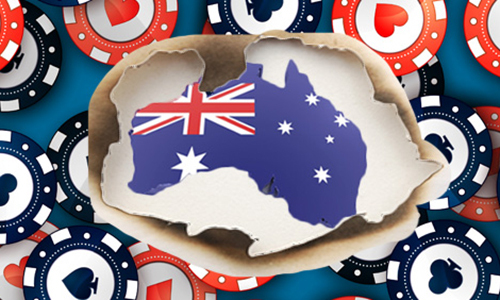 888Poker and Vera & John are two of the online operators who have already exited the Australian market. There’s still a chance, though, however thin it might be, that a poker carveout could be inserted prior to final passage. As part of the efforts of the newly formed Australian Online Poker Alliance (AOPA), player Joseph Del Duca has led a grassroots effort to contact senators and MPs about the looming ban. The group championed by Del Duca has organized a daily action plan modeled after that created in the US by Poker Players Alliance VP Rich Muny, with Del Duca’s daily versions offering contact info for various Aussie legislators. Among those backing the AOPA cause is Senator David Leyonhjelm of the Liberal Democratic Party. Leyonhjelm recently introduced an amendment (Sheet 8054) which would carve out poker and blackjack from the new rules. The amendment is simple enough, working by inserting the phrase “casino-style poker or blackjack gambling service” in several places within the bill that reference the types of online gambling services allowable under the new rules. However, Leyonhjelm’s LDP is a tiny minority party in Australia, posing an obvious barrier to his amendment’s prospects. Leyonhjelm himself is the LDP’s only Senator, among 76 such seats. While Del Duca reports numerous other legislators also responding warmly to the push for a carveout, it remains to be seen how that translates into real support when the final ratification vote occurs. Because of all the delays and proposed amendments (six), the mandatory second reading for the Interactive Gambling Amendment Bill 2016 won’t be completed until March 20th at the earliest. The extra four weeks give the AOPA and Aussie online players another brief window in which to continue pushing their cause, and preventing what was always a “grey area” game from being added to an officially banned list of activities. The AOPA has also created a GoFundMe page, seeking to gather donations to cover the day-to-day expenses incurred by Del Duca in traveling to the Parliament in person to lobby the country’s legislators. At last check, the group’s GoFundMe page had collected $2,536, a little over halfway to its very modest $5,000 goal. Several well-known Australian players are among those already having contributed to the fund, including Jackie Glazier, James Obst, David Yan, and Jonathan Karamalikis.